A Jobs portrait for the tech lovers out there. From movies to operas and comic books to action figures, Steve Jobs has certainly inspired a lot of creativity over the years. 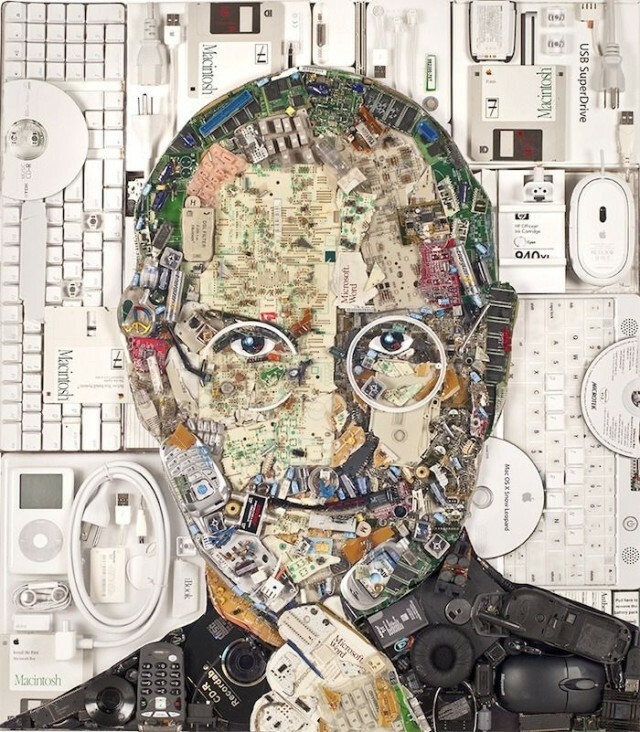 One of the most original creations we’ve come across, however, is this portrait created entirely out of e-waste by San Francisco artist Jason Mecier. Recreating the iconic Albert Watson 2006-era photo of Jobs — originally commissioned by Fortune magazine and memorably used from the cover of Walter Isaacson’s 2011 biography — the portrait is currently up for sale. The artist working on his creation. What makes the image particularly cool is the fact that the materials used to create it wasn’t chosen arbitrarily. 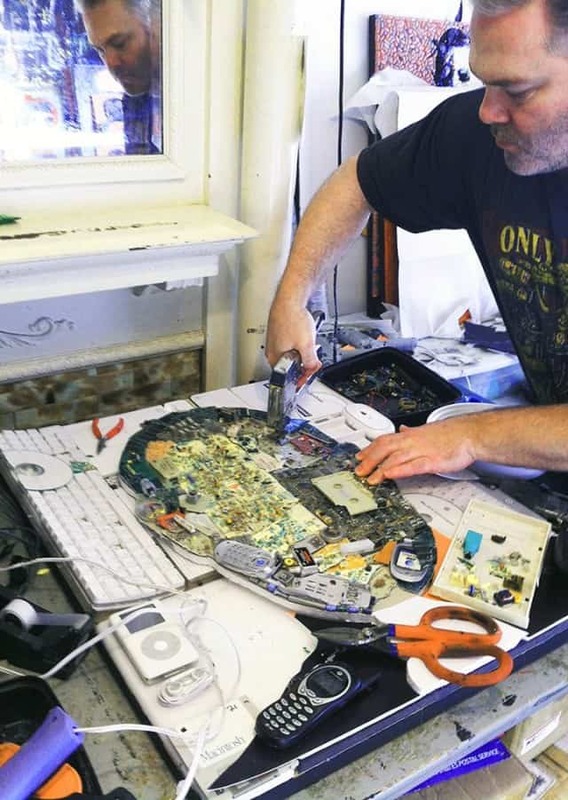 It was made using 20lbs of electronic waste — including cell phones (sadly not an iPhone though! ), iPods, headphones, Mac keyboards, CD-Rs, batteries, mice, and memory sticks — meaning that it’s a portrait of Jobs using a lot of the technology he helped revolutionize during his life. Other portraits created by artist Jason Mecier include celebrity likenesses of Stevie Nicks, David Bowie, and Snoop Dogg. The portrait originally sold back in early 2014. Unfortunately, its owner is now selling it due to his house being destroyed by hurricane. If you work at Apple, or are interested in acquiring it for a private collection, you can contact the owner at nickjobsforsale@gmail.com.